We offer a wide range of dual products. The available combinations of jacket materials and adhesive allow the customer to choose just right tubing for the application and environmental conditions. 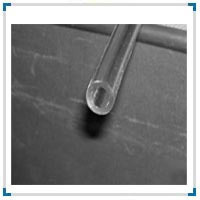 Dual wall heat shrinkable tubes are flexible and are available with thermoplastic adhesive which melts and flows to seal component. Dual wall heat shrinkable tubes are used for sealing and insulation and protection for wire terminal and connection section. Boiler tube are widely used in power-generating, heating and ventilation industry industry. 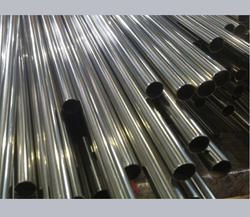 Boiler tubes are a part of tubing components of utility and industrial boilers. PEP 5500 is a heavy wall polyolefin tubing ideal for the protection of cable joints and terminations in low voltage power applications. These tubings are excellent product for sealing & insulating cable splices, connections, terminations & jacket repairs. Theses tubings are designed to withstand the severe mechanical requirements of U.R.D submersible and direct-buried installations. We are in a position to offer Round Hollow Sections in cold formed as well as in hot finished condition, in various grades, and in specifications like EN 10219-1/2, EN 10210 etc., in Seamless as well as Welded condition from our mills in Europe and China, as well as from our stock / service centers in Europe, who have a very extensive size range.